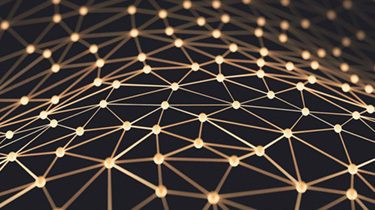 Powerful new technologies like artificial intelligence (AI) are letting all kinds of organizations gather, sort, and interpret unprecedented amounts of data. These intelligent tools promise to revolutionize whole segments of the health care economy, enabling services that are faster, more efficient, and far more personalized. At OptumRx®, we’re not waiting for these changes; we’re driving them. Now. OptumIQ™ represents the health care intelligence that comes from our curated data, analytics, and multidisciplinary expertise, which we infuse in our products and services. This article will share widely-deployed examples of how we have leveraged the power of synchronized data and analytics to serve our clients and their members in the doctor’s office, as well as our call centers. Our member advocates field all sorts of questions from members, often for common issues like a lost identification card, or the location of a local network pharmacy. OptumRx has leveraged ongoing advances in predictive analytic technology to drive an extremely personalized experience for every member who calls. We call this Next Best Action. Instead of rushing to complete the call as quickly as possible, our goal in these situations is to look past the initial reason for their call. We treat these calls as golden opportunities to personally connect with each member on health and savings opportunities, like condition management, pharmacist medication consults, lower-cost-drug alternatives, wellness programs, and behavioral services. The Next Best Action recommendation engine achieves this by constructing a highly personalized view of each member. Backed by OptumIQ, the Next Best Action model integrates individual attributes such as medical and pharmacy claims history, demographic information, and whether they have used any health and wellness programs. These are combined with detailed insight into the member’s exact benefit information, and all of this is filtered through a sophisticated set of rules governing clinical quality and clinical best practice. After first addressing the member’s original reason for calling, the Next Best Action tool automatically populates the member representative’s dashboard screen with care improvement options personalized for that member. Each option represents an opportunity to save money and utilize other program benefits that are available under the member’s benefit plan. Employing principles from the emerging field of behavioral economics, Next Best Action uses predictive analytics to rank how likely it is that someone will accept a given engagement option, for example, a smoking cessation program. We call this propensity to accept. While we might offer the member several options for better health, the best course of action for that individual, as determined by the model, is listed first. These predictions are so accurate that today members will accept the engagement option we offer almost 60% of the time. Applying AI-powered predictive analytics to Next Best Action has been shown to significantly increase patient engagement. Compared to the member acceptance rate before we applied AI, acceptance rates have soared by 159%. This translates into higher aggregate medical expense savings for clients and a better experience and better health outcomes for members. In other words, we help members find not just a next best action, but their next best action. In this example, we use our synchronized data to simplify and streamline one of the most common doctor-patient encounters: writing a prescription. The newest drugs are often very expensive. Many new biologic drugs can be highly targeted; aimed only at certain types of a disease, or only at people with precisely defined genetic features. Benefit plan coverage rules are complicated. Until now, doctors have rarely had detailed insight into how they work for at the individual member level. In order to make this process work better for doctors and patients, OptumRx has created a new tool that uses the power of data to simplify prescribing. Called PreCheck MyScript, this new tool seamlessly integrates with physicians’ electronic medical record (EMR) systems, and provides real-time, member-specific benefit information at the time and place of patient care. PreCheck MyScript gives physicians access to benefit information, including whether or not a medication is covered, how much the medication will cost, and even if there is a clinically suitable alternative that will save the member money. This allows physicians to compare recommended treatment options side by side. If prior authorization is required, physicians can process that right in the EMR, with immediate approval in most cases. PreCheck MyScript brings together highly diverse data streams into one simple-to-use tool. Our unique ability to combine pharmacy and coverage data translates into actionable insights for physicians. That insight can make the difference between a member who has immediate access their prescribed medications, and one who is turned away at the pharmacy counter. One out of five transactions with a recommended alternative resulted in a drug change or lower-cost alternative, delivering significant cost savings for patients and payers. More than 30% of PreCheck MyScript prior authorizations were initiated electronically—or were avoided altogether—as a result of access to real-time patient-specific benefit information. PreCheck MyScript enables patients and their care providers to know out-of-pocket costs and lower-cost alternatives while at the doctor’s office—increasing adherence, convenience, and outcomes, while driving costs down. Earlier we looked at the kind of call center experience that emphasizes high-touch/high-impact member interactions. But sometimes the situation calls for us to prioritize high-volume/fast resolution. Here, AI enables OptumRx to improve call routing to resolve member concerns quickly, even at high volumes. 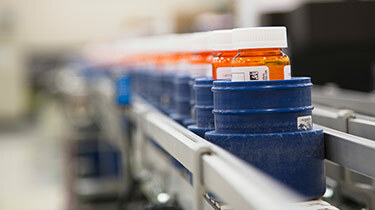 This is essential when you operate at the scale we do, filling some 60 million prescriptions per year. While over 99% of these prescriptions proceed without delay, sometimes questions do arise. In order to capitalize on our highly automated fulfillment centers, we need to reconcile these questions as quickly as possible. So OptumRx has leveraged artificial intelligence and machine learning (AI/ML) capabilities to improve call flow and match the caller with the agent best-suited to answer their specific question or issue. Because our data affords a highly personalized view of each member, we can personalize the conversation in a way that is meaningful to the caller. Moreover, the AI software is continuously analyzing the data for each outcome, relative to both the types of questions, and the performance of the OptumRx representatives. In effect, the system is learning to improve itself, with no human interaction. This approach allows us to make continual process improvements which eliminate unnecessary tasks for call center agents and empower them with more relevant data to address a caller’s need earlier in the call. It also enables us to craft self-service tools to steer customers with simple or transactional inquiries to self-service channels, leaving agents to focus on the most complex problems. The result is reduced average hold times, increased first-time resolutions and a better overall member experience. This increase in customer satisfaction also improves the ability of OptumRx to promote higher medication adherence rates and better health for millions of members with chronic conditions.